A bar that seats eight and a resto with room for 38, Kiyomizu is a small, Japanese-owned spot that's well known for its authentic fare -- its recipes come straight from the parent restaurant in Sendai. You have five menus to choose from every day (which change seasonally), and they also do bento, and'll even deliver it to your office at lunch. You know, just in case you end up working in Paris. While some sushi restaurants cater to a crowd with an unaccustomed palate, Tsukizi is unabashedly all about the raw fish -- the focus is on the basics: sushi, sashimi, and rolls, with no French infusion of any kind. If you’re lucky, you’ll get a spot at the bar and can sit on a stool and watch the chefs do their thing. Dating all the way back to '58, this is Paris’s oldest Japanese restaurant, which means they’ve had plenty of time to master their dishes. They've also gone native in a couple of respects: Takara offers prix fixe menus in several price ranges, as well as a variety of sashimi and nigiri a-la carte... which includes foie gras nigiri. With no more than 20 seats, this literally isn’t more than a bar, but in the tiny space Bar à sushi Izumi is known for serving freshly prepared, authentic Japanese eats. 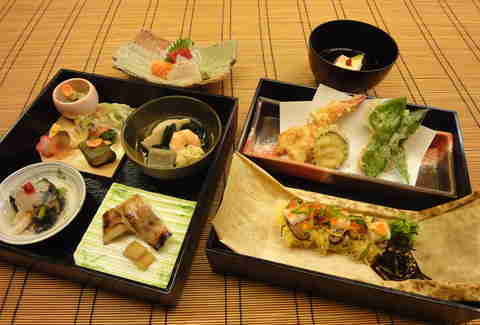 Specialty of the house is eel, wagyu beef, and fatty tuna, although the tuna’s availability always depends on what they can get from the market. If it’s not fresh, you won’t be eating it. Rice & Fish is known for its rice and fish, Sherlock maki and they’re all about good fusion, which means you get a Japanese restaurant that’s a liiiittle different than the rest. In a Nordic mood? Get the Bjork, made w/ teriyaki salmon, avocado, cucumber, and fried leeks. Or go for Le Krunchy: avocado, tempura shrimp, and a secret sauce. 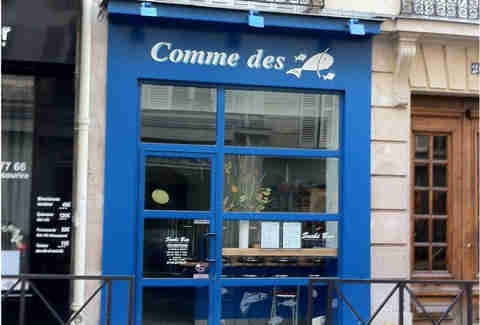 Best of all: this place is budget friendly, with maki + soup + salad coming in at a mere 10-15€. 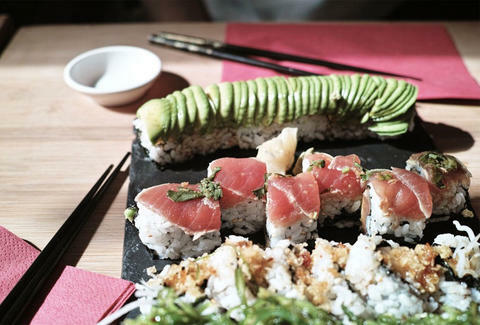 Often referred to as one of the creme de la creme of the Paris sushi spots, Isami is a tiny sushi bar located on Ile Saint-Louis in the middle of the Seine river. The focus is on fresh ingredients (good thing they’re on an island so the fish almost feel at home), and as it’s one of the most popular spots in town, you’ll want to book in advance. 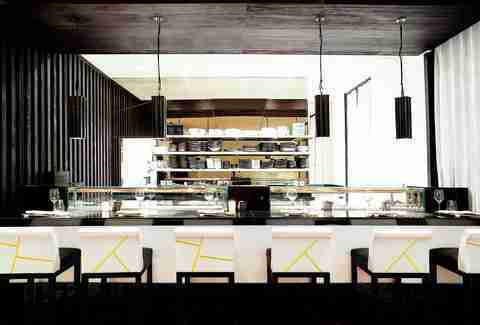 You’ll have to head a bit out of town for this one, but it’s worth it -- it’s a small space and the chef prepares your sushi right in front of you, including anything from raw tuna w/ fermented soy beans to grilled eel. Get the set menu or just have the chef cook whatever he’s feeling like. 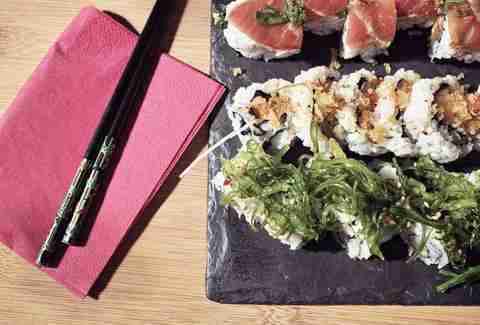 Kinugawa is an upscale Japanese restaurant right off the Tuileries gardens throwing out an East-meets-West fusion of no less than eight California rolls, nine makis, three types of tuna, and a kind of sea urchin that's only available in winter. 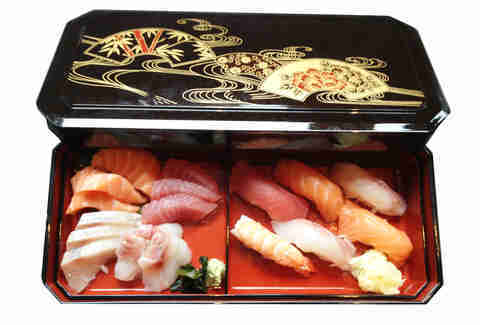 They even have a bento-boxed Sunday brunch! 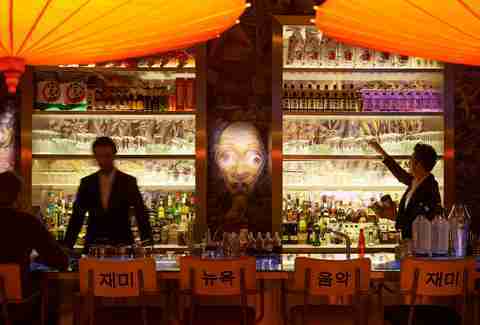 Right off the Champs-Elysees, Ko has the completely unfair advantage of having French design rockstar Philippe Starck involved, which means that the design is thought out to a capital T, and its very concept. The menu is filled with raw classics like beef tataki, as well as newness like their Sriracha tuna tartare. 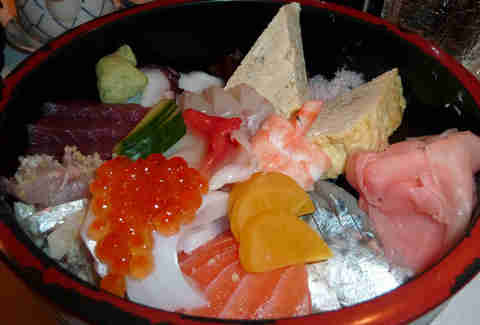 Near the Bastille you’ll find Icho, which has stormed the sushi scene thanks to its variety of set menus and plates (chirashi, maki, mixed, etc.) that'll net you the best of whatever the chef is making on the day. There’s a bit of fusion in the desserts too; a green tea tiramisu to round off your meal perhaps?